Lt. Col. John Cote, seen here in a May 2014 photo. A 29-year veteran of the Maine State Police who serves as its deputy chief has been tapped to lead the agency, according to the governor’s spokeswoman. Gov. 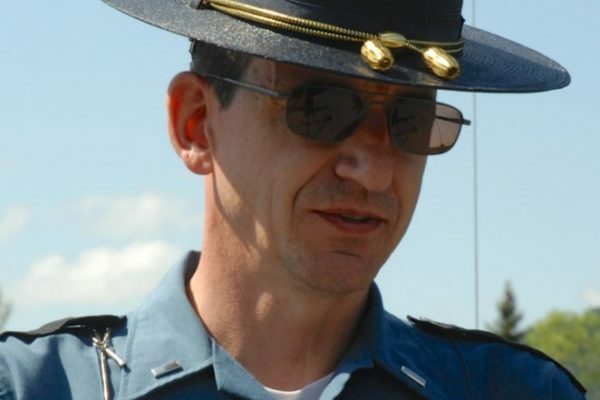 Paul LePage on Friday nominated Lt. Col. John Cote to become the next Chief of the State Police, after former Chief Robert Williams left the post in March to become the head of security at Colby College in Waterville. Cote has been deputy chief for the past two years, according to Julie Rabinowitz, a spokeswoman for LePage. The Aroostook County native joined the State Police in 1989, where he spent the majority of his career investigating homicides and suspicious deaths and served as the commanding officer for Troop F, in Houlton. Prior to joining the state police, Cote was an Aroostook County Sheriff’s deputy. Cote’s appointment is set to go to a public hearing before the Legislature’s Committee on Criminal Justice and Public Safety, which has not yet been scheduled. Cote moved to China when he became deputy chief, but lived in Mars Hill for the majority of his career. He holds a degree in Criminal Justice and Legal Technology from the University of Maine and has completed numerous law enforcement trainings over the course of his nearly three-decade career, Rabinowitz said.